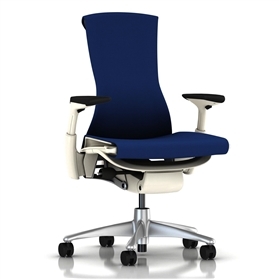 The Balance version of the ever popular Embody chair features a high quality open weave type fabric that stretches and adapts you you and your chairs movements throughout the day. 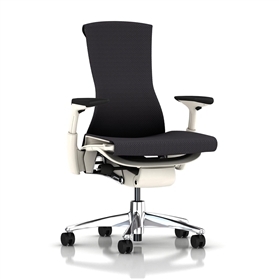 The chair features a tilt limiter and adjustable thoracic support both enabling you to sit and move correctly throughout the day. Seat depth adjustment allows you to adjust the seat depth perfectly for the length of your legs and the height and width adjustable arms are very easy to use. 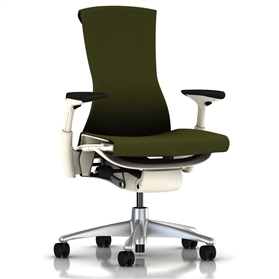 The manufacturer gives the chair a 12 Year Guarantee and it is delivered in a fully assembled and ready to go state!